1. Start off with a clean slate: Here’s your chance to start brainstorming and think of all of all the fitness activities that stimulate you or interest you. The idea here is to get you thinking about a new goal to achieve and to get your passion going. Perhaps, you would like to increase your triathlon times, maybe get ready for a half marathon, or you want to take a mountain expedition and test your fitness skills out in the great outdoors. Whatever you decide, this is your chance to let your mind wander and be creative. Have fun with challenging yourself. 2. Begin doing research: Thank God for the Internet! Start getting busy and find out when the next race is or even what trip you can do to achieve your goals. Are there people you can connect with that can offer you some insight or are there any books you can read as well? Get plugged in and make your journey more interesting by asking experts. For example, I’m constantly reaching out to people and getting insight for new workouts or fitness challenges. Do the research and make up your mind that you’re going to do it today! 3. Plan your training schedule: Now that you’ve made up your mind and you’re going to commit, go ahead and map your training schedule out. What kind of time commitment does it require? Can you plan a trip or family vacation around an upcoming race or adventure trip? Whatever you decide, make it fun and interesting so you stick to the plan. For example, when I was training for a half marathon earlier this year, I planned my winter vacation in Costa Rica and spent most mornings running up hills and on the beach to incorporate my training into my vacation. I actually felt more refreshed and invigorated throughout my trip as I didn’t get too lazy and kept myself in balance. Get your training schedule in place and you can always tweak and adjust it as you go along, but stick to it. 4. Get a training partner or group: Here’s the chance for you to take your training to the next level. Grab a partner or join a group that is focused on a common goal. This will help motivate you and keep you sticking to your training schedule. I find it trickier to cancel on a workout date, as you have to answer to someone else besides yourself. Also, this is an opportunity for valuable information exchange on training/race tips, latest workout trends, and sharing the excitement of hitting your training goals. A well as, connecting with like minded healthy individuals. For example, this past Nautica South Beach Tri, I trained with a few friends in NYC, and we all shared the excitement of competing in the race. In fact, we all came in within 1 minute of each other, which shows how tightly we trained with one another. 5. Execute your fitness goals: Ok, so here’s where the rubber meets the road. Now you know where you want to go, so what’s stopping you? If you just competed in the in an event, you might want to ease yourself back into a training regimen. Depending how hard you trained and raced, I typically tell my clients to take 1-2 weeks off to recover with stretching and healthy eating. However, you can include a few easy, unstructured light workout days if you are up for it, but remember to always listen to your body. Once you’re recovered, start transitioning into your new training routine and get going with your new goal. This is your chance to make your fitness dreams happen. I’m so moved when I see clients set goals and achieve them. I know first hand how easy it is to get side-tracked with life, but here’s your chance to have laser focus and really make it happen. For 18 years, celebrity personal trainer Joel Harper has been developing successful, customized personal training workouts based mainly on simple exercises that produce immediate results. Joel has recently been working as a spokesperson for Twinlab’s CleanSeries Sports Nutrition line. The line contains no artificial colors, flavors, or sweeteners and is both Certified Gluten Free by NSF® and Non-GMO tested by a third-party lab. Each batch is tested to be free of banned substances under the Informed Choice and Informed Sport programs. The line is also independently certified by the NSF® International product certification program to meet nutrient label claims. Joel’s clients range from Dr. Oz to Olympic medalists to “moms and dads” just trying to improve their family’s health. 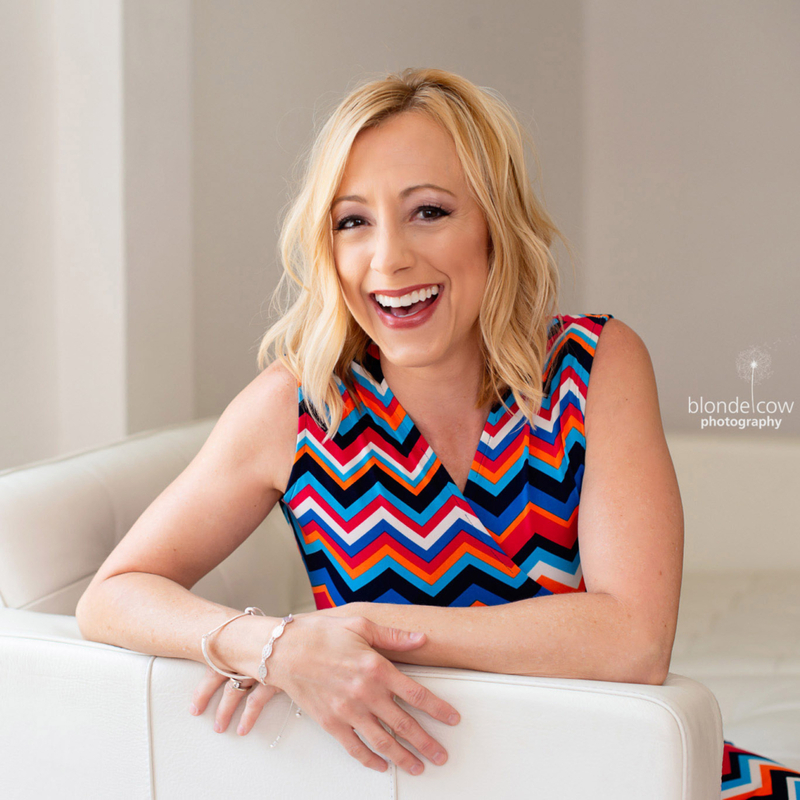 Harper created all the personal workout chapters for the New York Times’ bestselling “You” book series and the accompanying workout DVDs with Drs. Mehmet Oz and Michael Roizen, as well as the popular FIT PACK DVDs. For many people, weight loss is a greater challenge in the winter than in other seasons. Changes that we make to our health habits during the winter slow down our metabolism; in consequence, we burn fewer calories. If you’re struggling with weight loss this winter, what can you do to boost your metabolism? Winter weather keeps us from enjoying long walks and most outdoor sports. Blizzards and freezing rain cause us to cancel trips to the gym. We become more sedentary, and our metabolism gets sluggish. To avoid depending on the weather, adopt a few exercise routines that you can do at home. Don’t sit around for hours without moving. Warm baked goods and heavy starchy dishes are dietary staples in the winter. Eat less of them and turn to foods that boost your metabolism. Lean proteins and high-fiber, low-calorie foods, including fruits and vegetables, keep you sated and improve the efficiency of your metabolism. If you’re interested in dietary supplements, consider green tea extracts. Green tea extract benefits may include a faster metabolism, weight loss, and a healthier cholesterol profile. However, you must consult with a doctor before taking these extracts, as they interfere with various medications and are potentially harmful to people with certain medical conditions. Furthermore, they may be toxic if they are low in quality or taken at improper dosages. Lack of sleep stresses out your body and messes with your metabolism. As a result, you have poorer control of your appetite during the day and are more likely to crave sugary or starchy foods. To allow your body to rest and regulate itself properly, get at least seven or eight hours of sleep each night. In the winter, people are especially vulnerable to physical and mental illnesses. The season is known for colds, coughs, and the flu; furthermore, the insufficient levels of sunlight may trigger depression. Illnesses disrupt the body’s metabolism and keep people inactive and isolated. They also prompt unhealthy coping mechanisms such as over-eating. By exercising, eating well, and getting enough sleep, you reduce your chances of developing an illness. You should also monitor the effects of any medications or supplements that you’re taking; they may be slowing your metabolism or hurting your body in other ways. Discuss any adverse effects with your doctor. Know when to ease up, especially if you’re traveling this summer to climates you’re unaccustomed to. If you’re used to working out in cooler temperatures, accept the fact that you probably won’t be able to exercise at the intensity you normally do. I recently talked with a patient who learned the hard way. Though she normally breezes through a three-mile run at home in Oregon, she barely made it through a half-mile stroll in the 100-degree heat of New York City’s Central Park last week. She was surprised to realize how much – and how quickly! – the heat and humidity wore her down. Keep track of your hydration levels. Steer clear of sports drinks. They’re loaded with calories. Tip #1 — Don’t let yourself get to the point where you’re feeling faint, dizzy, and sick. Okay, okay, it kills you not to finish your four-mile workout. May I be so blunt as to suggest that it may kill you if you try. Paid heed to the heat. Listen to your body. If you’re feeling any of the following, find air-conditioned comfort fast. 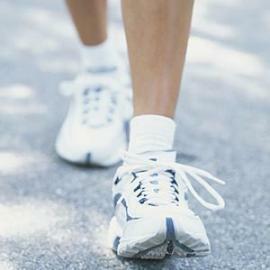 Always remember that even a 20-minute workout has positive health effects. It’s the number of days you exercise that matters most. Frequency of days far outweighs the amount of time of any given exercise session. Tip #2 — If you’re feeling feeling faint and/or sick, stop immediately. Sit down in shade, drink water, and always have with you a nourishing snack. Pick juicy snacks like fruit. The last thing you need in scorching heat are dry snacks like crackers, popcorn, or energy bars that require your body to add water. Plus, dry snacks are often dense with calories, which means they can easily foil weight-loss goals, summer or winter. Tip #3 – Know the symptoms of heat stroke. Heat stroke is a serious threat that can be fatal. Symptoms include a high body temperature (104 F or 40 C or higher), ABSENCE OF SWEATING with hot, flushed, or red dry skin, rapid pulse, difficulty breathing, strange behavior, hallucinations, confusion, agitation, disorientation, seizure, coma, and, if untreated, death. Sometimes there is little warning, especially among athletes training in hot humid conditions, and among the children and elderly. Do not leave the young and frail (or anyone, for that matter, including your pets) unattended inside a hot car. If you suspect that you or others are suffering heat stroke, call 911 immediately. Also, move to a shady area, drink/spray cool water, avoid alcohol or caffeine (in tea and soft drinks), apply ice packs under the armpits and groin, and fan until body temperature cools to 101 F or 38 C.
Are you an expectant or new mom who wants to get back in shape after baby? Below are 5 “get fit tips” that new moms can do to get back in shape – without starving themselves, spending a lot of money, or driving themselves crazy! 1. Acknowledge that your body has been through a major change. As with anything worth doing, getting started on the way to post-pregnancy fitness involves acknowledging the fact that your body has changed in ways that are less appealing. This is perfectly fine, and it is something that every new mom (including celebrities) has had to go through. That being said, look your body over in the mirror and try to be as objective as possible about your appearance. 2. Make time to be active. If you wait around until you have the time to start getting active, chances are you will never be. You need to make time whenever possible. Sure, it can be rather exhausting to take care of your baby, the house, and job all at the same time but getting fit will really make a difference in how you feel about yourself. Being active does not necessarily entail going to the gym—even short bursts of exercises can add up to a lot throughout the day. Do 20 lunges while waiting for the laundry to finish, or get onto a bike and take your baby for a pleasant ride during the cooler hours of the day. 3. Stop eating for two. When you were pregnant, you probably indulged yourself with desserts and other sinful treats more often than you did before. If so, you have to start watching what you eat more carefully. Eating healthy does not always mean depriving yourself; it only means making better choices and knowing when to stop. For instance, have ice cream after dinner but watch your portions. 4. Don’t try to do everything at once. Yes, easier said than done but this is important. For new moms, it is very easy to feel like you have to take charge of everything. Accept that with a new baby in the house, you simply won’t be able to clean the house as completely as you did before. Prioritize so that you cover all the basics and get enough rest. We are more likely to eat when stressed, which makes us feel crappy, and so we eat more. Stop the cycle. 5. Shop for a new wardrobe. Yes, give yourself permission to shop! Why try to squeeze into your old jeans or wear maternity pants when no longer pregnant? Both will make your feel worse about yourself. Instead, buy a few key pieces of clothes that flatter and fit your new body. Go on, you deserve it! Chrystal is a writer for MattressNextDay, the top online retailer for beds, mattresses and other sleeping needs in the UK. As a mom to an active toddler, she credits daily playtime with losing a total of 30 pounds to date. 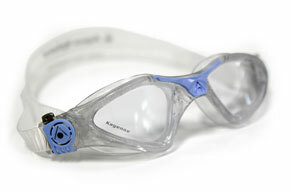 Whether you are a competitive swimmer, swimming laps for health and wellness, or playing a variety of water sports – Aqua Sphere offers goggles for comfort and enjoyment for men, women & children! “Mom” was thoroughly impressed with how perfectly the Kayenne™ Ladies goggles fit her petite face, and how unbelievably simple the goggles were to adjust! No more tugging and yanking on the ends of the straps to adjust them properly – Aqua Sphere has designed an ingenious Quick-Fit Buckle™ which makes adjustments a breeze. The goggles provide 100% UV protection, as well 180 degree visibility, making them an awesome choice for swimming and playing! 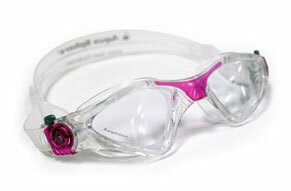 You won’t want to hit the pool for laps or the water volleyball game this summer without a pair of these goggles, gals! Kayenne™ Ladies are available with a Blue Lens or a Clear Lens, depending on your preference, and you can learn more at aquasphereswim.com. 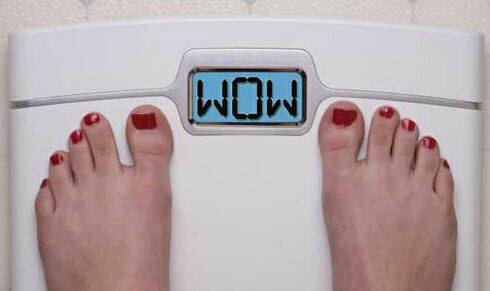 In nearly half of developed countries, 50 percent of people are obese or overweight. With obesity, diabetes and heart disease on the rise, now is the time to take control of your health, fitness and well-being. Cycling can be a fun, low impact, and inexpensive exercise that helps improve health while controlling weight. It burns around 600 calories an hour — and lowers the risk of heart disease and stroke. In addition, cycling promotes psychological well-being. 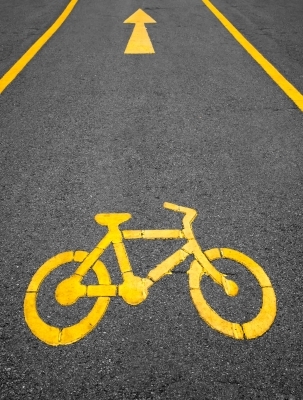 Several studies suggest that cycling leads to reduced stress, improved mental abilities and a more positive attitude. • Make sure your bike fits: “Finding the right bike fit is important for a comfortable ride,” explains Rachel Heal, Women’s Performance Director and a former Olympian. An expert can help you find a bike that suits your body and riding style. • Ride at your own pace: Know your limits. If you can’t keep a smooth pedal stroke or you aren’t able to talk or take a full breath, slow down. • Cross-train for strength: Men’s Performance Manager and three-time Olympic athlete Eric Wohlberg suggests adding lower body exercises such as single leg squats, lunges, jumping rope and running to build strength and power for cycling. • Prepare nutritionally for a long ride: On long, rigorous rides lasting more than two hours, your body will need about 250 to 300 calories every 45 minutes to an hour. Sports gels or small snacks that incorporate lean protein and carbohydrates can be smart choices. • Recover effectively after a ride: Take in some calories immediately after a long ride to help your body recover. Wohlberg recommends chocolate milk to incorporate calories, sugar and protein quickly. After cooling down, eat a good meal of lean protein and carbohydrates and plenty of water to rehydrate. • Enjoy it: The best thing about cycling is that just about anyone can do it, at any level, and still have fun. “You control how hard or easy your workout is,” said Wilcoxson. • Learn more: For more information on cycling and to follow the team, visit www.humanpoweredhealth.com. The summer holiday is a great opportunity to get your kids fit and healthy by letting them play outside to experience a bit of fresh air instead of being cooped up inside fixed to a games console or the internet. Yet sometimes they need a bit of pushing to get them across that threshold separating indoors from out. Here are a few tips for ensuring your kids get the most out of the good weather, ways to make sure they don’t turn into unmotivated, unfit couch potatoes. While it can sometimes be difficult to get time off work, when you do have a free day to spare, think about taking your kids out on day trips rather than leaving them to their own devices. Summer is packed with outdoor events such as festivals, fairs and fêtes, and there is bound to be one close by that you can visit. With a host of activities and diversions usually on display, it’s an easy way to keep your child interested and active. Yet you don’t need to seek out a special event, a simple trip to the beach, the woods or other natural attractions will usually suffice. For the more culturally minded, why not think about a visit to a theatre or museum; in the summer these destinations often hold special sessions, open days and interactive exhibits that engage, delight and inform, meaning your child develops their mind as well as getting them out of the house. While most school associated sporting ventures close down over the summer months, plenty of independent sports teams and groups take up the slack at this time. Whether your child wants to play in a cricket league, hone their football skills under the tutelage of expert coaches or learn how to synchronise swim there are plenty of opportunities out there for both boys and girls. The more active can even seek out rock climbing, wind-surfing, mountain biking or kayaking groups, getting to grips with more intense and more adventurous activities that do not necessarily have a competitive element. 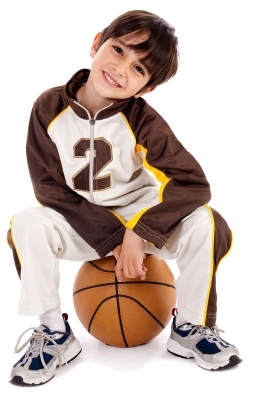 This way boisterous children can stay healthy and learn a new skill without the pressure of wanting to be the best. Okay, this isn’t exactly the most fun option, and kids, just like adults, hate doing chores. However, asking your child to perform basic household tasks at least keeps them busy. As an added bonus, when the prospect of chores is raised, it seems to have the uncanny knack of getting your child out of the house! The youngster who was slouched in front of the television or glued to a computer screen magically turns into an incredibly active, outdoor loving kid the very moment that you demand they clean their room. In fact they’ll do just about anything to get out of the house and away from performing chores. Funny one, that. Many adults who went to summer camps as a child cherish these trips as some of the fondest memories of their life. Whether staying in a camp just a few miles away or heading off overseas to more intrepid shores, summer camps can be one of the most rewarding experience’s a child can ever have. Think about an adventure camp for those kids with seemingly limitless energy, entrepreneur camps for the business savvy and sports camps for budding Wayne Rooneys and David Beckhams. Places such as Tignes, high in the French Alps offer this kind of youth camp, and much more besides, perfectly tailored for your child, letting them stay fit and active in a safe and pleasant environment. John is a travel writer who has written about everything from finding exciting youth camps for kids to seeking out the best slopes in winter.